Want 5 touchpoints for building your online service-based business in an introvert-friendly way? Be Brave. Be Seen. Be True. Be YOU…and don’t forget your Energy! GET the BESTY TOUCHPOINT SUMMARY and access to 5 FB LIVEs DESCRIBING each touchpoint in more detail so you can build your online business in a way that HONOURS your introversion, CONNECTS you with ideal potential clients, AND makes MONEY in a sustainable way. Let’s turn your online service-based business idea into a money-making reality so you can have the freedom you need to thrive! 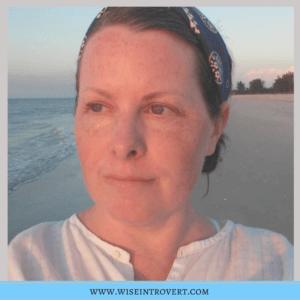 I’m Marla and I believe that introverted women deserve success on their own terms; to feel strong, capable, and valued, without having to change who they are. And I believe that there is more freedom to “do it your way” when you are your own boss. That’s why I love to help introverted women in the early stages of creating service-based businesses online to gain comfort in marketing so they can connect with their first clients and start making money. When you start your online service-based business, there’s no shortage of decisions to make, ‘how-to’s’ to learn, and things to do. All that change and risk can feel scary and overwhelming. I’ll help you prepare & stay in motion. That includes putting your foundations in place (niche, ideal customer language, offer) and applying more of a marketing mindset to your written content (courage building through practice) so you can feel more confidence and pride in declaring “I’m open for business”. The challenge is that, when you’re an overthinker and happy to avoid the spotlight by working behind the scenes, you can stay in preparation mode for too long. Plus, most of the women I work with are “helpers” and view marketing as bewildering like “a fog comes over my head”, or just plain slimy and icky. But hiding doesn’t get you clients. So you need to find a way to be visible. And while you may have learned techniques and strategies galore, your inner critic might be influencing you to avoid putting all that knowledge into action. The voice of self-doubt and fear can be powerful. It’s easy to choose avoidance when we wonder, “What if I can’t handle this?”, “Who am I to charge that much?”, “What if they think I’m too pushy?”. The bottom line is, you’re left with the problem, “I’m trying to figure out who my ideal clients are” or “I’m struggling to find clients” or “I can’t seem to land my first client”. Sometimes it helps to have someone who understands what it feels like to be an introvert solopreneur, and who believes in your ability to create a successful online business, to be there to give you a nudge and help you build the courage you need to put yourself out there. That’s where I come in. I’m part coach, consultant, and cheerleader (a low key kind), and you will be open to growth, trusting yourself, and taking action. We’re going to keep it real & introvert-friendly. Because entrepreneurship is not just for extroverts! Go ahead and start by downloading the free BESTY touchpoint tool! Build your introvert-friendly business from the inside-out!